Waterproof and fade resistant dual-layer plastic for extended use. Features tamper-evident adhesive closure. 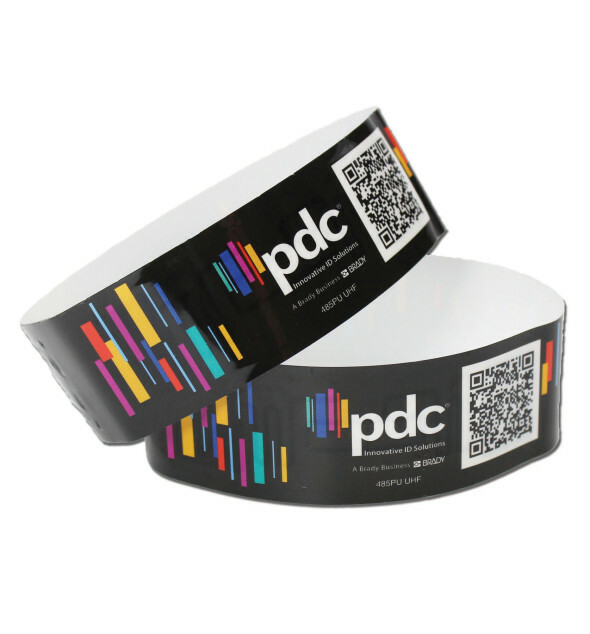 Full-color, photo-quality, and variable data printing capabilities. Full-color, photo-quality printing capabilities will transform every guest’s wrist into a mini billboard. Add your logo, photos, or graphics for counterfeit prevention, high-impact branding, or sponsorship revenue. 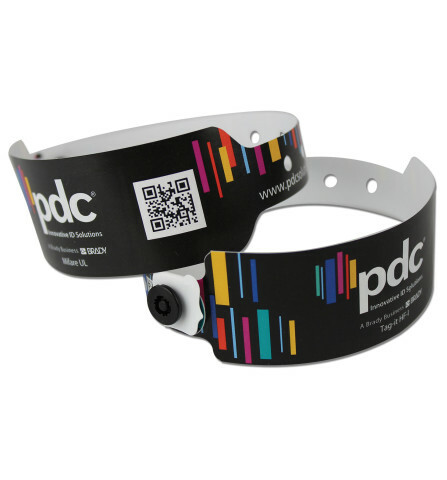 Custom bar codes and variable data printing can be added for an additional layer of security, to track wristband inventory, or to support guest registration and social media programs. Material: Waterproof and fade resistant dual-layer plastic for extended use. 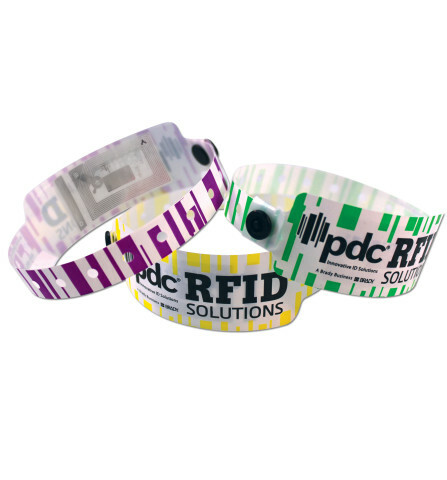 Features tamper-evident adhesive closure to prevent transfer and securely sealed RFID tag to reliably store and transfer data. Quantity: 1,000 per box, minimum order of 3 boxes; 1 design per box. Custom Printing: Full-color, photo quality printing. Variable data, alpha-numeric, and sequential serial numbering available. See custom artwork for details. 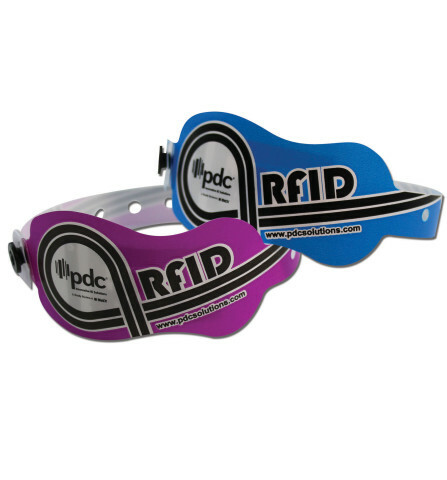 Let your imagination run wild with PDC’s Smart® SureImage® RFID wristbands. Photo-quality full-color printing capabilities allow you to add your logo and tagline or new campaign slogan, photos from your venue, or a trendy vector graphic. Add a special offer to generate immediate sales, or provide instructions for redemption programs. You can even sell advertising space to local businesses or brands for sponsorship revenue. 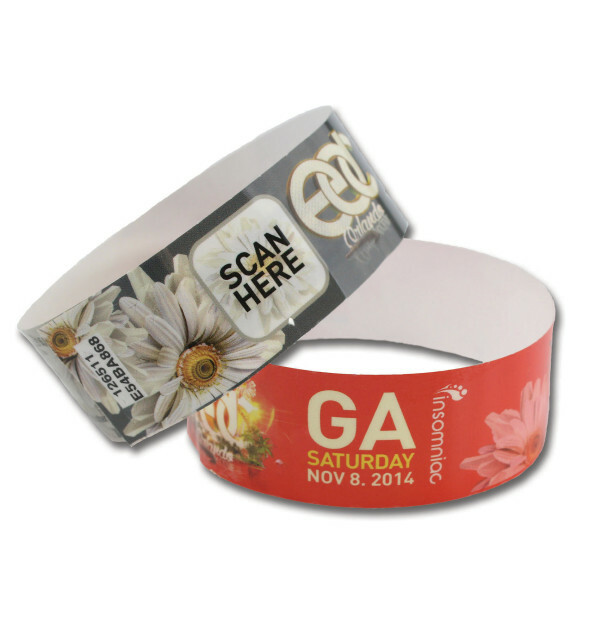 Add a pre-printed bar code or variable data for an added measure of security or to track wristband inventory. Use a QR code or Microsoft Tag to provide your guests with a special offer, interact through social media, or drive traffic to your website.